10 million dollars. That’s how much money the BRESCO trash incinerator has received in “renewable energy” subsidies over six years. That’s right — trash incineration is currently included in our state’s Renewable Portfolio Standard. This means that harmful, polluting incinerators receive subsidies — paid for by ratepayers like you and me — meant for truly clean energy sources like wind and solar. 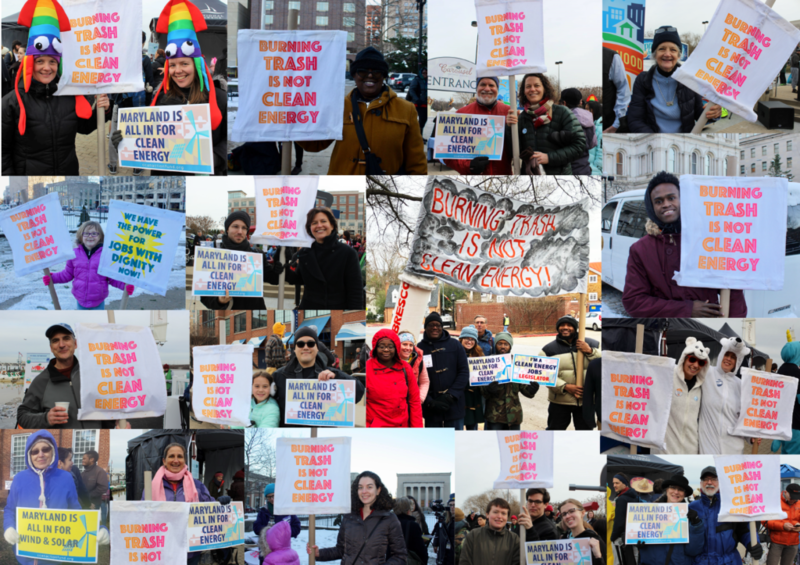 By subsidizing trash incinerators, we are literally paying to pollute our own communities, particularly communities of color and low-income communities most impacted by incinerators. In Baltimore City, the biggest single source of air pollution is the BRESCO trash incinerator. The Chesapeake Bay Foundation has found that BRESCO costs over $55 million a year in public health damages, yet that facility has received over $10 million in “renewable energy” subsidies over six years. This has got to stop. Senator Hough introduced SB0548 to remove public subsidies for trash incinerators. Delegate Mosby introduced HB0961 to remove public subsidies for trash incinerators. Senator Brian Feldman introduced the Clean Energy Jobs Act with a provision to remove subsidies for trash incinerators. This bill also includes a bold increase in our state’s renewable energy commitments and critical workforce development investments to increase equity in Maryland’s renewable energy economy. Unfortunately, the House version of this bill does not include the provision to remove subsidies for incineration. 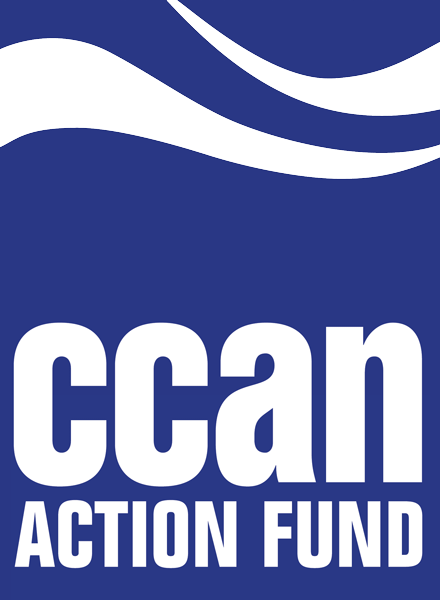 Take action today and tell your legislators, “no more cash for burning trash!” We must remove incineration from the Renewable Portfolio Standard this year. Removing public subsidies for trash incinerators is part of a larger effort to build a just transition from incineration to zero waste. Zero waste is a goal to reduce waste and divert as much as possible from landfills and incinerators through increased recycling, composting, reuse programs and other initiatives. Baltimore City is on a path to zero waste. In 2017, the City Council passed a resolution calling for a zero waste plan that diverts 90% of our waste from incinerators and landfills. This goal is now reflected in the city’s 2019 Sustainability Plan, which calls for investments in public composting; free recycling bins for all Baltimore residents; a City government procurement committee to purchase local goods that are more efficient and have longer life spans; and a “Save As You Throw” program to incentivize households to reduce the amount of garbage they place on the curb. Baltimore was also recently selected as one of two cities nationwide to work on a concerted food waste recovery effort with the National Resources Defense Council, and Mayor Pugh has proclaimed that we need to increase our recycling rate to 50% (it’s currently at 14%). There are also exciting examples of grassroots zero waste projects across the city. Baltimore Compost Collective is a youth-led small business out of the Filbert St Garden in Curtis Bay that collects food scraps from South Baltimore neighborhoods and turns it into compost at the garden. Since 80% of what we burn at BRESCO can be recycled or composted, it’s clear that we can achieve a zero waste vision in Baltimore if we follow the leadership of the Baltimore Compost Collective and make the investments the city has outlined in its Sustainability Plan. We can also learn from our neighbors in other parts of the state. A few months ago, I got to tour Prince George’s Organics Composting Facility. 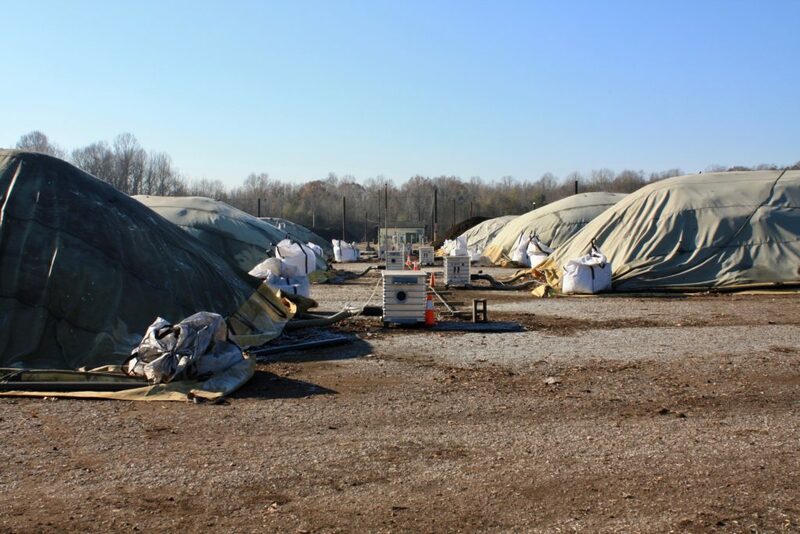 At 52 acres, it’s the largest compost facility on the East Coast! The facility allows Prince George’s County to boast the highest waste diversion rate in Maryland. Imagine what would be possible if we invested in facilities like this in Baltimore and across Maryland instead of subsidizing incineration. We know we can build a just transition from incineration to zero waste. 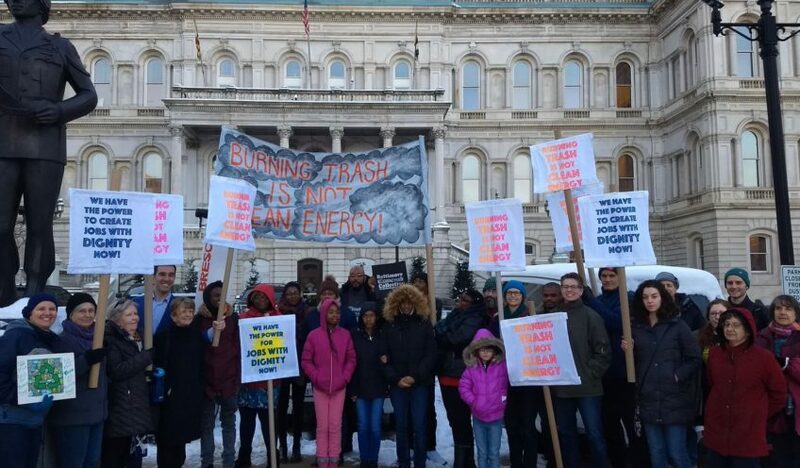 An important step is to stop propping up trash incinerators in our state’s clean energy law. I hope you take two minutes today to email your legislators urging them to remove subsidies for trash incineration.